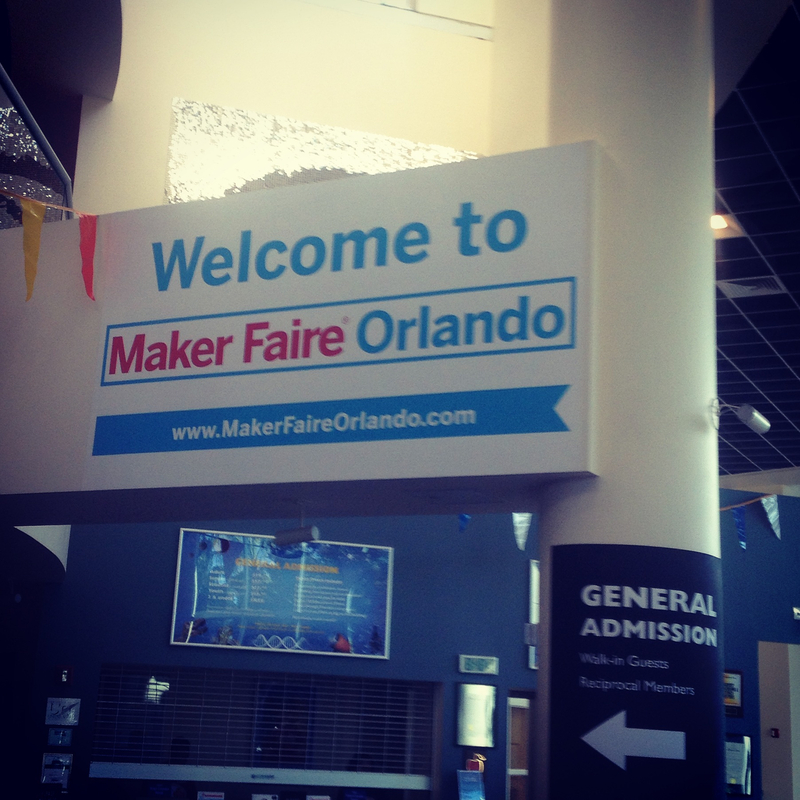 Last weekend, I went to my first ever official MakerFaire in Orlando. This was Orlando’s first year of having a fully-fledged MakerFaire and not just a MiniMakerFaire, and it was receiving a lot of attention. I was particularly excited about the Educator’s Forum on Saturday, so I got up early on the weekend, made the hour long drive to Orlando, and got ready for some awesomeness. 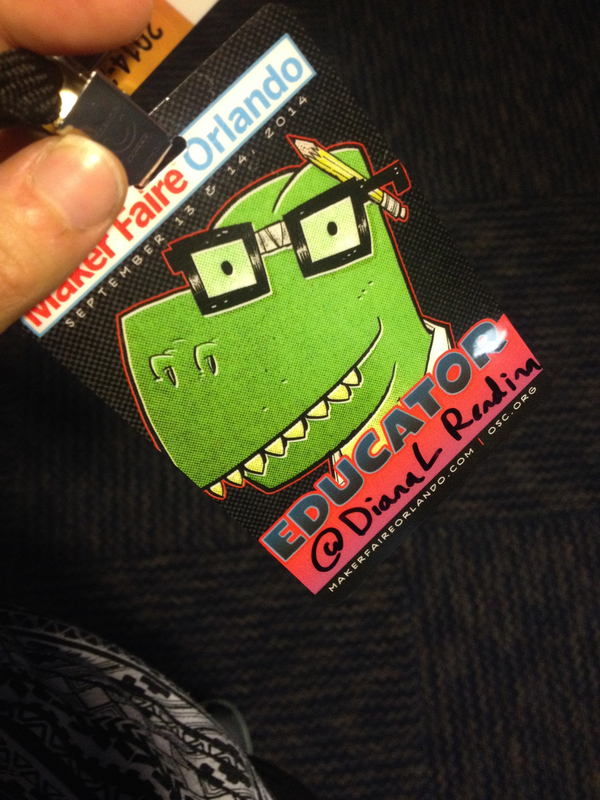 One thing I love about MakerFaire is that they get that educators play an extremely important part in the Maker Movement. They did a lot to recognize us, including a forum featuring Dale Dougherty, Jay Silver (inventor of the MaKeyMaKey) and Mark Greenlaw (vice president of First Robotics). The also had some workshops for educators, and a teachers lounge where we could get away and recharge. 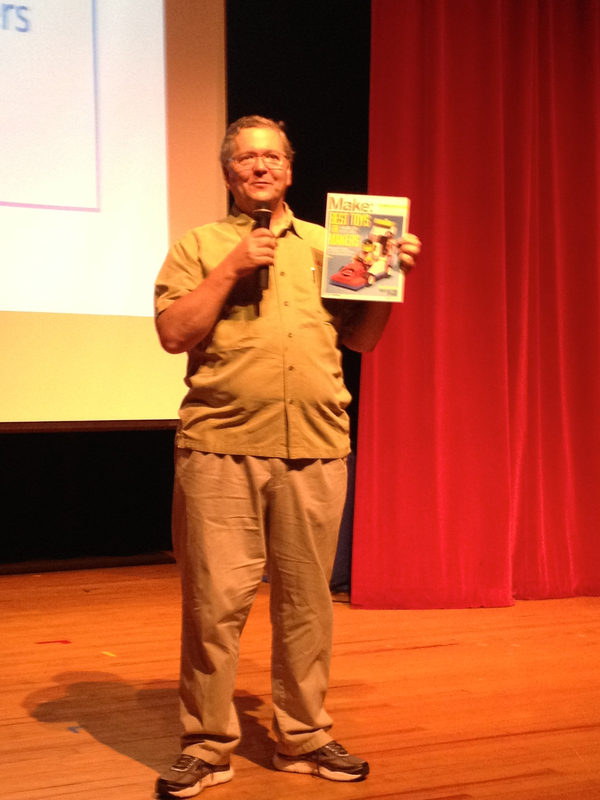 I got to hear Dale Doughtery back at ISTE. His talk there was more focused on an introduction to the Maker Movement. 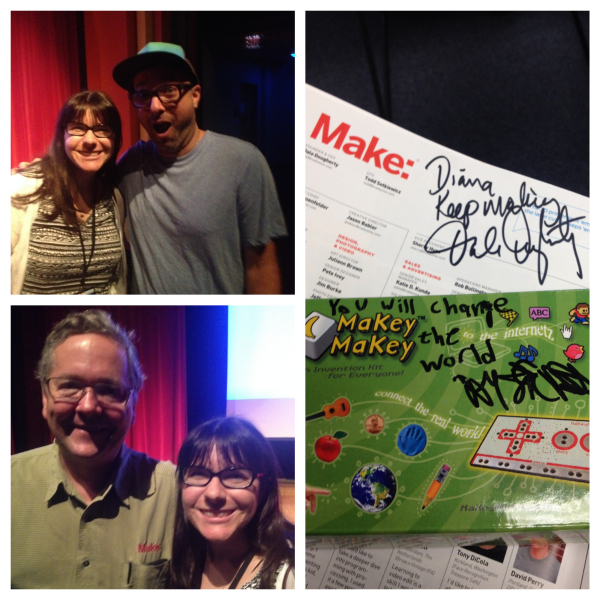 At this talk, he knew that we were all committed to the MakerMovement, so his focus was more on inspiring us and recognizing us for leading the way in introducing our students to making. There were so many awesome bits of wisdom in his talk, but my favorite was this: Makerspaces are learning spaces, doing spaces, places to get access to materials, to get mentors. Jay Silver’s talk focused on his current projects, which involve finding art in unusual places. Some of his examples were when his son discovered that gnats would move in interesting patterns when they talked. He recorded their reactions to different types of music, and it was fascinating. I love how his project brings art into making. Mark Greenlaw brought in local students from First Robotics teams and let them share about how their experiences with robotics have changed them. After the educator forum, it was time to explore. 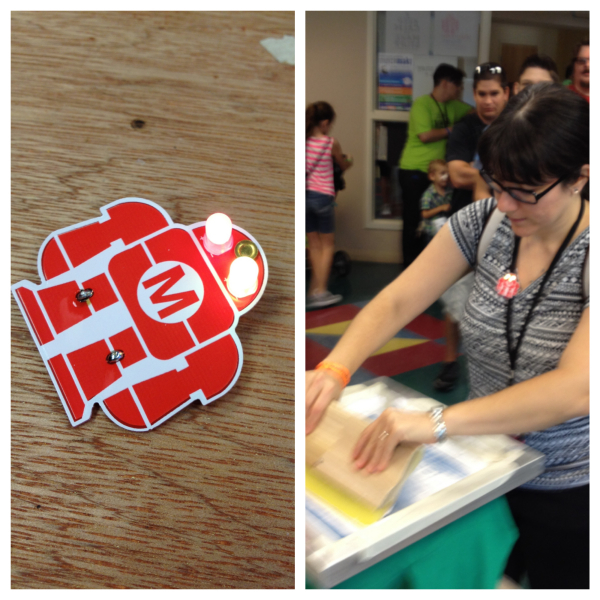 I loved the hands-on workshops, where a teenager taught me how to solder a Makey pin, and where I got to screen-print my own t-shirt. There were tons of amazing exhibits too. 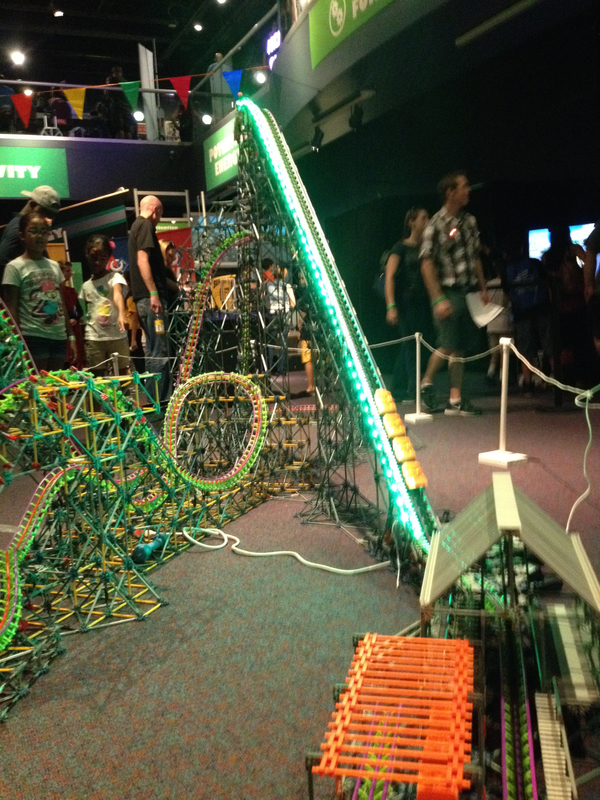 Local Makerspaces and Hackerspaces, homemade arcade machines, R2D2 robots, and a giant K’nex rollercoaster were just some of the awesome sights. It was an awesome experience. Another one of my colleagues went too, and we’ve talked about having a booth there next year, where we can share with how we’re making in our schools. 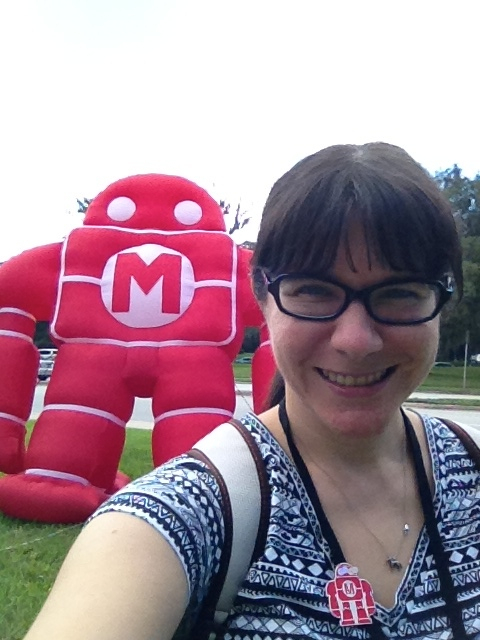 If there’s a MakerFaire or MiniMakerFaire near you, you should absolutely check it out. 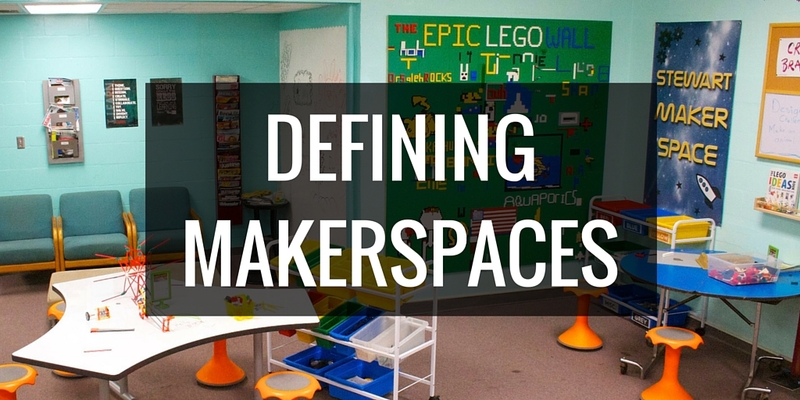 Have you been to a MakerFaire or a MiniMakerFaire? What was your experience like? Wow! So cool that they had a special educator forum! I went to the Detroit Maker Faire and Atlanta Mini Maker Faire last year. 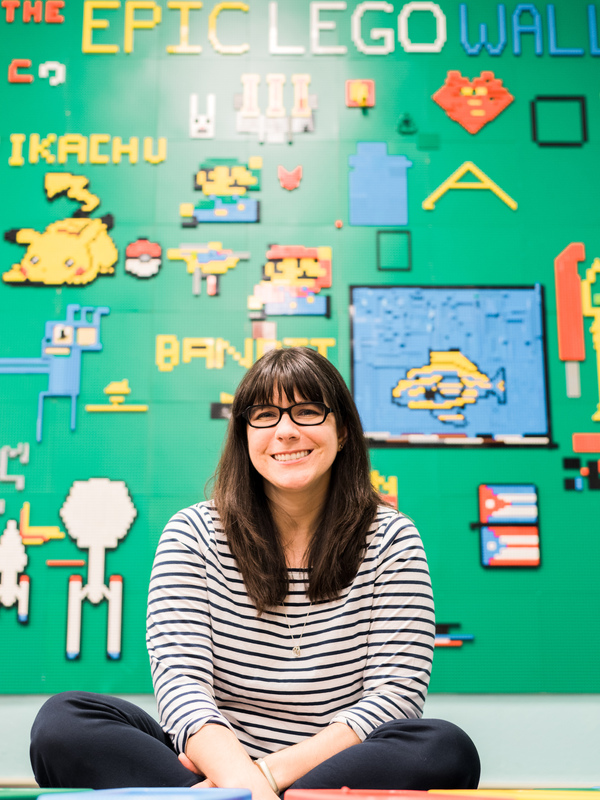 This year, Atlanta will have a Maker Faire (not mini!) in a few weeks. I can’t wait!! !